Anyone suggesting that the Western Main stream media is in any way shape or form biased against Israel needs their head examined. OF course there are exceptions. But they are very few and very far between. And when ever they do manage to crop up the MSM has them bracketed with articles countering anything they might say. I don’t know why Isreal should worry. All they will need to do is cry about the loss of revenues and the US government will make up the difference. This is a man has committed so many atrocities against the Palestinian people as he stole their lands he has been forced to try and cover up his war crimes, crimes against humanity and genocide by actually petitioned the international court to redefine the definitions. Such an act of desperation is a clear admission of guilt by him and the State of Israel. It also begs the question; if by some odd quirk of fate he got those changes, would they not also mean that the suffering of the Jews was no longer legally defined as such either? Or is NutenYahoo assuming that such changes would only apply when Israel is doing them to Muslims and Christians? Your comments were clear, succinct and right on the money. Far better than my ramblings on the subject. Well said. 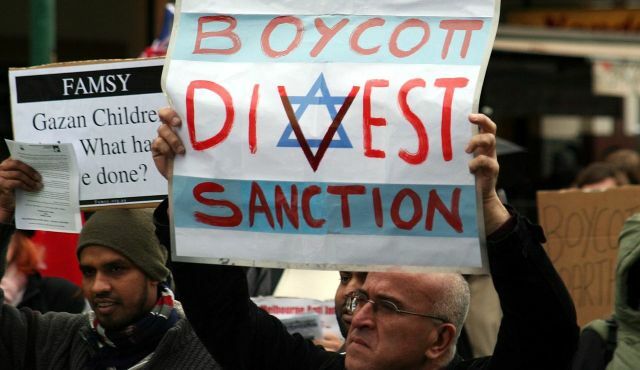 Alert for possible Israeli inspired infiltration of institutions that support the economic boycotts (U.S. churches, colleges) with elements who prepare scenarios to create “discrimination” publicity and compensation law suits.